I don’t use my USB key very often but each time I need it I have to look after it. I could never remember where I left it. Sometime I found it in the bottom of the pencil holder, in my jacket pocket or somewhere in my purse. 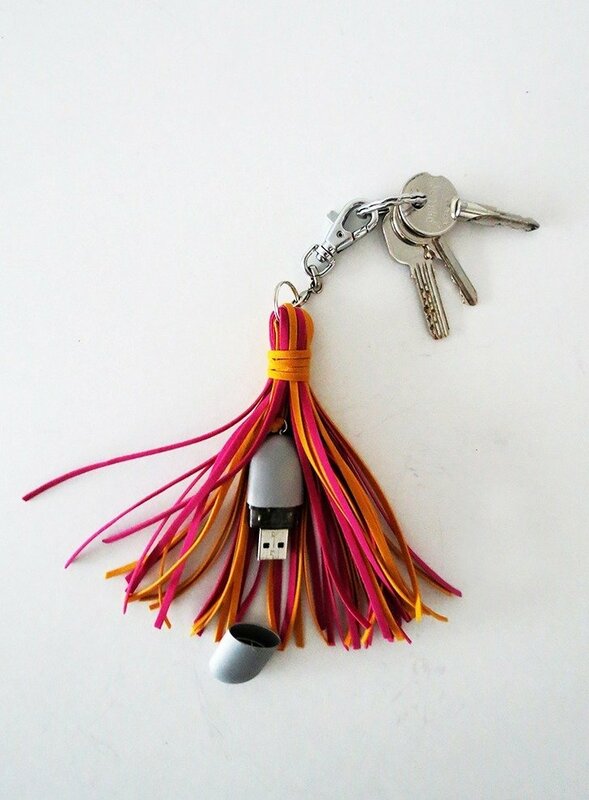 So I try to to make things a little more easier, and made a tassel USB key chain. It’s big enough to find it everywhere, it hide the USB key and you can use it as a key ring. And last but not least, it looks much prettier than the former USB key! 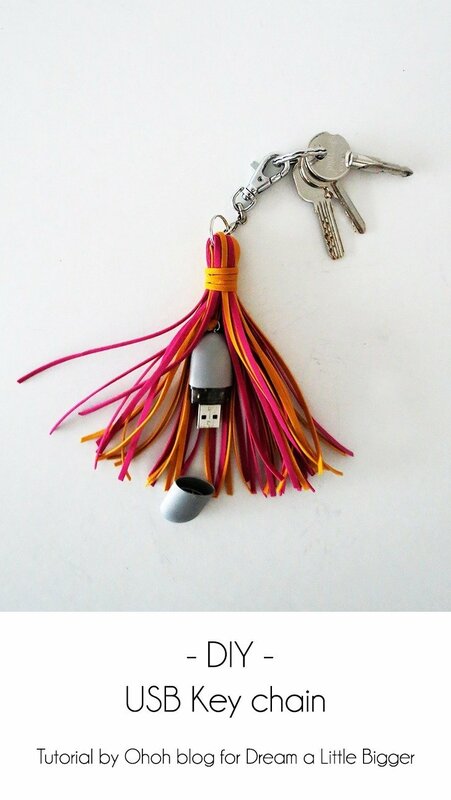 To make you USB key chain, you will need two tone of leather cord, a key ring, a key clip, a pair of scissor and your USB key. 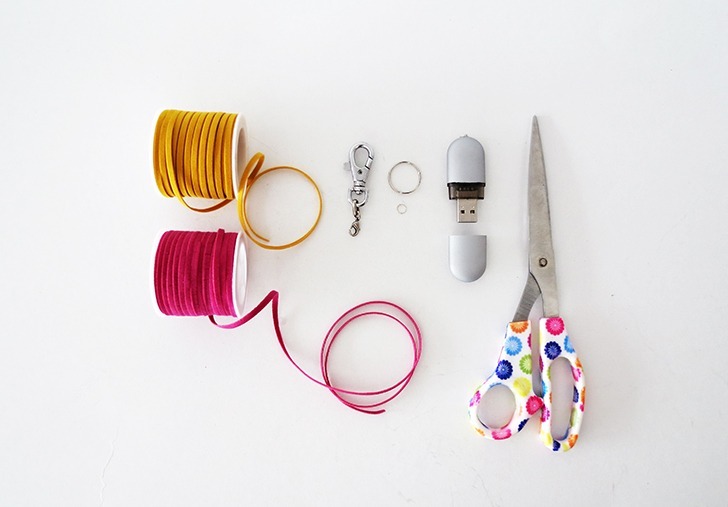 Cut a piece of cord and use it to attach the USB key with the key ring. 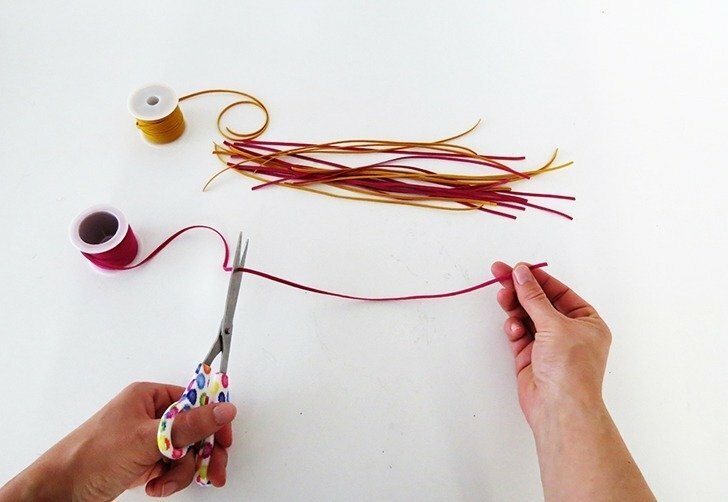 Make a knot and cut the extra cord lenght. Cut around 30 pieces of leather cord. Try to cut them at the same dimension, we made pieces of 12 inches lenght. A little tips, if the leather cord wraps on itself, you can iron it at medium heat to keep it flat. Once all your cords are cut off, pass them thought the key ring. 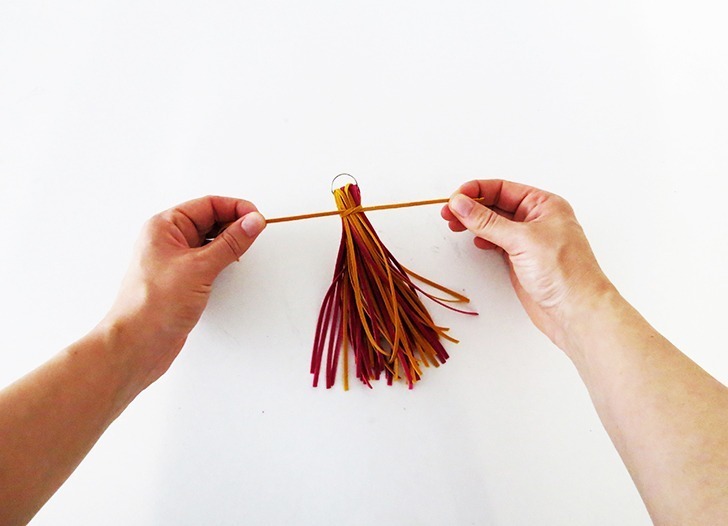 Fold the cords in the middle to make the tassel. 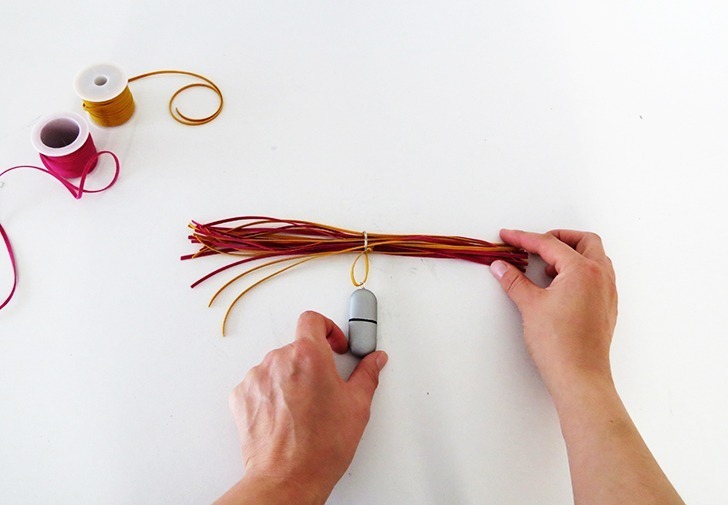 Cut a piece of cord and wrap it several time around to make the tassel and finish by a knot. 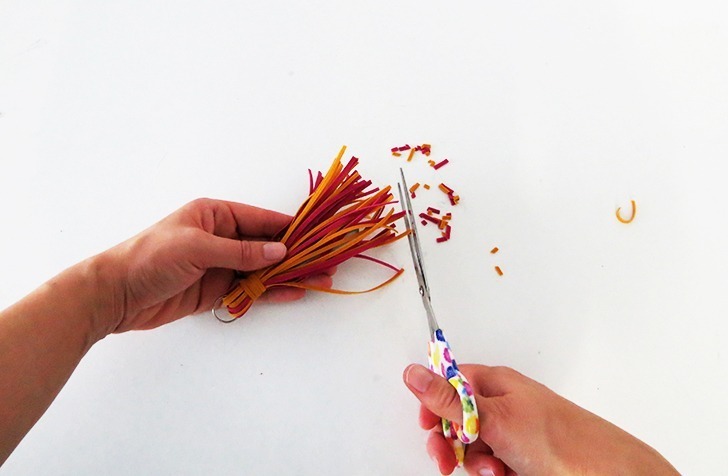 Cut a little the end of the cords to have a nice and straight tassel bottom. Attach the key clip on the key ring, and done! 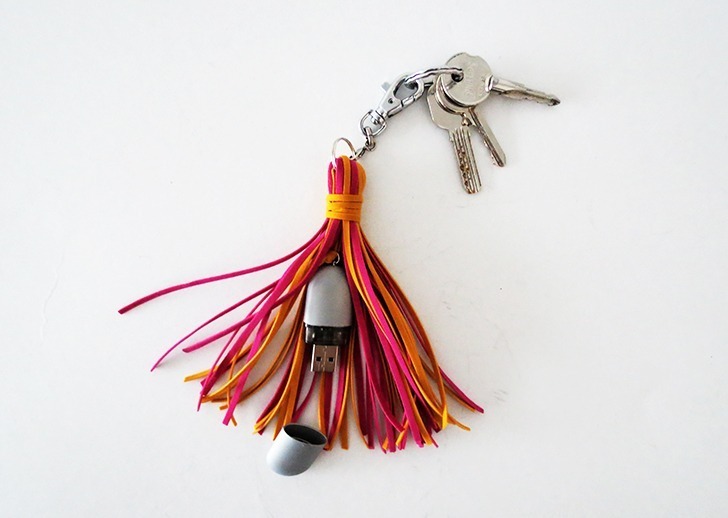 You can use you USB tassel as a key ring, attach it at you laptop case, or hang it on the key holder. 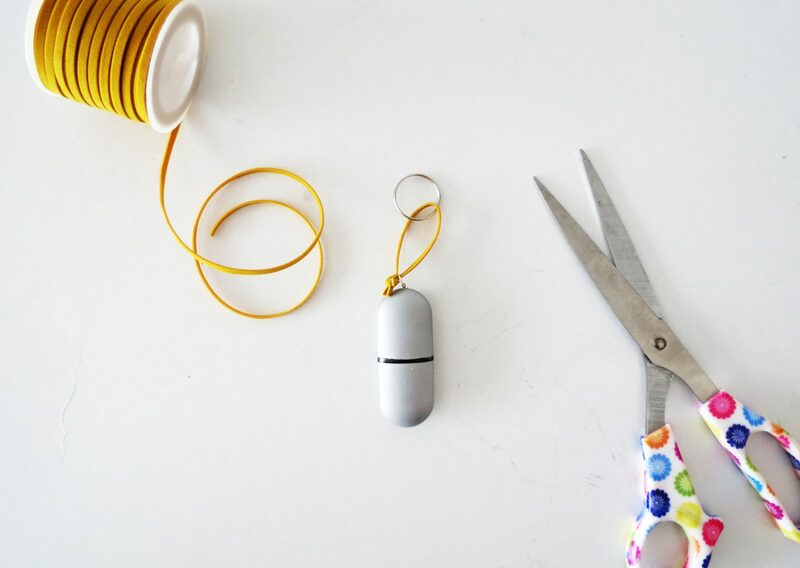 Thanks to the key clip, you can move it easily and attach it wherever you want.